Hello my foodies! How are you? I’m really sorry for the delay to the post! In West Bengal, we have heavy rains for last 3 days and for the reasons, Internet has made so many problems! Hope, it will be ended soon. 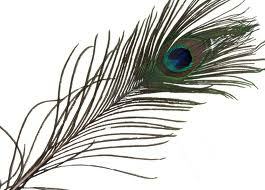 Friends, today is the Birthday of Lord Krishna! 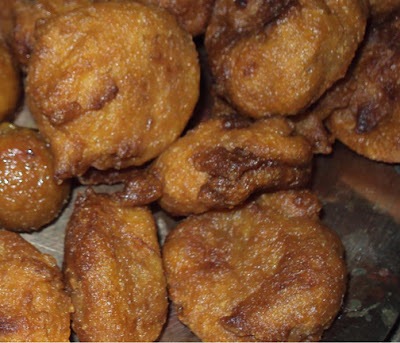 To celebrate the ‘Janmashtami’, I’m going to share a special recipe which made especially for Krishna in West Bengal. Try it now for your Nanda Lala….. Remove top portion of fruit & tear out the fibrous portion, kernels will come out. Pour some water on kernel; rub it on some sieve or grater to squash out juice which will be thick consistency. Now add all above ingredients to the juice of palm and mix very well. Mixture should be of dropping consistency. Heat the oil in a deep fry-pan or karhai. Take a small amount of mixture and drop in oil in form of small ball. Similarly add more balls. Serve to Lord Krishna when these become cool. 1. Always add pinch of salt to hot oil before frying anything; it resists scattering of oil. 2. Put 3-4 piece of cloves or long to the container of sugar; it protects the sugar from ants. Which is the 5th Avatar of Krishna? and why he did appear in this Avatar? Well, friends; time to go for today! We will meet next Friday with a new recipe and question. Answer correctly and follow T&C, posted in the page………exiting prizes are waiting for you! Take care. Enjoy the 'Janmshtami'! Namaskar. Vamana is described in the Puranas as the fifth avatar of Vishnu. Thanks Koyeli that was an enlightening one!! Vamana, the dwarf, appeared in the Treta Yuga. The fourth descendant of Hiranyakashyap, Bali, with devotion and penance was able to defeat Indra, the god of firmament. This humbled the other deities and extended his authority over the three worlds. The gods appealed to Vishnu for protection and he descended as the dwarf Vamana. During a yagna of the king, Vamana approached him in the midst of other Brahmins. Bali was happy to see the diminutive holy man, and promised whatever he asked. Vamana asked for three paces of land. Bali agreed, and the dwarf then changed his size to that of a giant. He stepped over heaven in his first stride, the netherworld with the second. Bali realized that Vamana was Vishnu incarnate. In deference, the king offered his head as the third place for Vamana to place his foot. The avatar did so and thus granted Bali immortality. Then in appreciation to Bali and his grandfather Prahlad, Vamana made him ruler of Pathala, the netherworld. Bali is believed to have ruled Kerala and Tulunadu. He is still worshiped there as the king of prosperity and recalled before the time of harvest. Vamana (वामन,) is described in the Puranas as the fifth Avatar of Vishnu, and the first incarnation of the Second Age or Treta yuga. He is the first Avatar to appear without anthropomorphic features, although as a dwarf Brahmin. He is also known as Upendra. Vamana or the Dwarf incarnation was taken by Vishnu to kill the King Bali who had captured the whole earth with his goodness and had made the life of gods in the heaven uncomfortable. The gods were basically scared that he would supersede and become greater than the gods themselves. You need to know more on Hindu mythology to understand some of these inner meanings or intricacies of the stories.